The Yunnan snub-nosed monkey, 滇金丝猴， was first scientifically described in 1897 by Alphonse Milnes-Edwards and dedicated to Mgr Félix Biet, a French missionary and vicar apostolic of "Thibet", based in Kangding, Sichuan. Hence, the Latin name Rhinopithecus bieti. 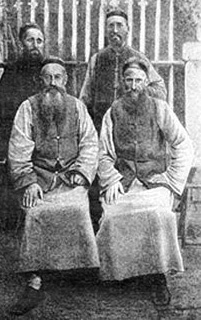 According to Milne-Edwards (1897) 7 specimens had been sent to the Natural History Museum, Paris by Jean-André Soulié, a French missionary at “Tsekou” （茨古） . Specimens whose location are recorded were caught at a ’one day journey distance from "Atentsé" (currently DeQin, 德欽, 98.91°E, 28.49°N)’ and ’not far from Tsekou (98.9°E, 28.0°N)’. The locations Kiapé and Djra-Gniéra where also written manually on the base of specimens and mentioned in the Rode’s catalog. None of those names match current names in China (but see below research results). Since then, the species was almost completely unknown until the 1990s. The black and white snub-nosed monkey lives in one of the most extreme environments of any non human primate. It is found in 15 discrete populations totalling less than 3000 animals, in northwestern Yunnan and southeastern Tibet, between the Jinsha (Yangtze) and the Lancang (Mekong) rivers. This species is found in high-altitude evergreen forests, between 3,000 m and 4,700 m above sea level. Although the locations of remaining populations are well known, there are very likely to be as yet unsurveyed populations. The departments of Chrono-environment and THéMA (UFC/CNRS) and the department of Wildlife Management and Ecosystem Health (Yunnan University of Finance and Economics), with the support of the Institut Universitaire de France have organised a field expedition to assess the habitats of the Black and White Snub Nosed Monkey in its distribution range and the feasibility of using graph theory to define landscape corridors between monkey populations. From July 8 to 18, 2013, Dr Celine Clauzel, Manon Jacquot and Pr Patrick Giraudoux joined Dr Li Li, Long YongCheng (a prominent specialist of primates in China) and students and colleagues for practical training on the software Graphab, and for taking ground control points (and jiajia mian) in monkey areas from the Tibet border at the north of the Meili xue shan to the southmost monkey group of the Yunlong Tianchi Nature Reserve. 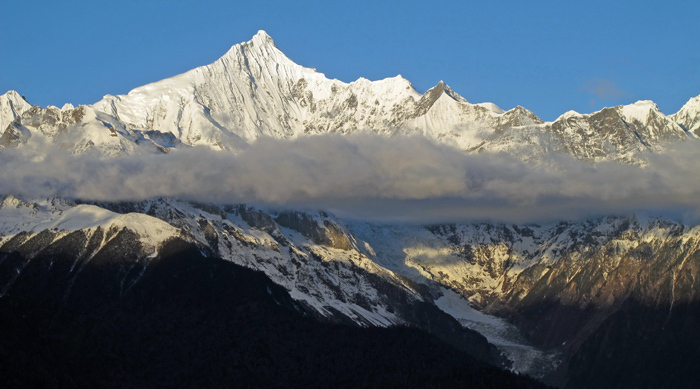 The Laojun Shan is a mountain chain in Yunnan, included in the Three Parallel Rivers area, with elevations ranging from 2,100 to 4,513 metres. The western part of the region adjoins the Lancang (upper Mekong) while the eastern part is contiguous with the Jinsha river (upper Yangtse). 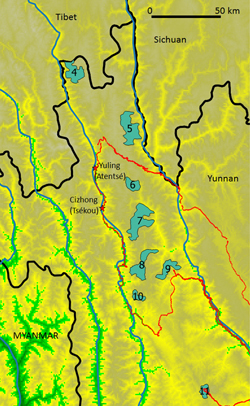 It is a biodiversity hotspot, and it hosts two populations of Yunnan Snub-nosed Monkey, defined as Groups #11 (Jinsichang) and #12 (Dapinzi) in Li et al. (2014). A field expedition has been carried out there November 11-15 to assess the habitats of the group #11 population, collect field material and meet with guardians in charge of the monkey population monitoring and protection. 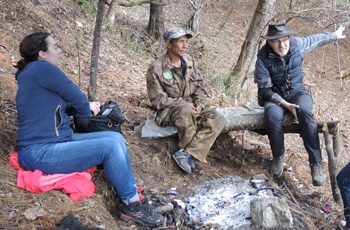 There Prs Li Li and Zhang Hong from YUFE and Pr Patrick Giraudoux and Dr Céline Clauzel, from the Chrono-environement and LADYSS labs, respectively, met M. Zhang ZhiMing, guardian in the village of Li Zui . They where assisted by Zhang Ying Chun, Ma Cong, Li Jun for logistics. 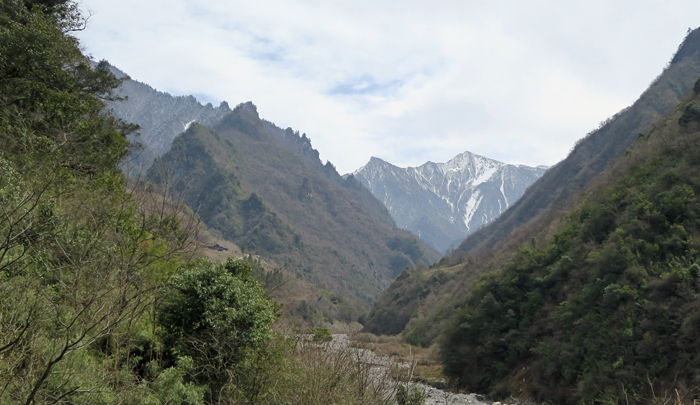 A three day foot treck between 3200 m and 3700 m of altitude was carried out to get contact with the monkey group, from the field station of Guan Ce Zhang. After crossing kilometres of primary mountain forest on stiff slopes with patches of thick undergrowth of bamboos, the group has been able to get ear and visual contact and to collect a number of monkey faeces. Those faeces will be used by the Chrono-environment lab to evaluate the feasibility of developing non invasive methods to investigate monkey population health (genetics, microbes, diet, etc.). The good news was that, according to Zhang ZhiMing’s observations, the group has increased from appx 150 to 300 since the guardian system has been created. Dr Celine Clauzel gave a lecture on November 10, at the Yunnan University of Finance and Economics, on circuit theory and its implementation in the softwares Graphab and Circuitscape. Further collaboration plans between YUFE, Chrono-environment and LADYSS were also discussed. After the workshop Methods and research in ecohealth and conservation, a field expedition has been organized (November 8-14) to reach the area where the first specimens known-to-science of Rhinopithecus bieti were captured and sent by Jean-André Soulié. The idea was to drive and treck along the Baima xue shan where a large number of monkey groups are still living, in order to get a first assessment of the feasibility of research based on archives, local testimonies and more recent satellite imagery, to document habitat changes since that time. 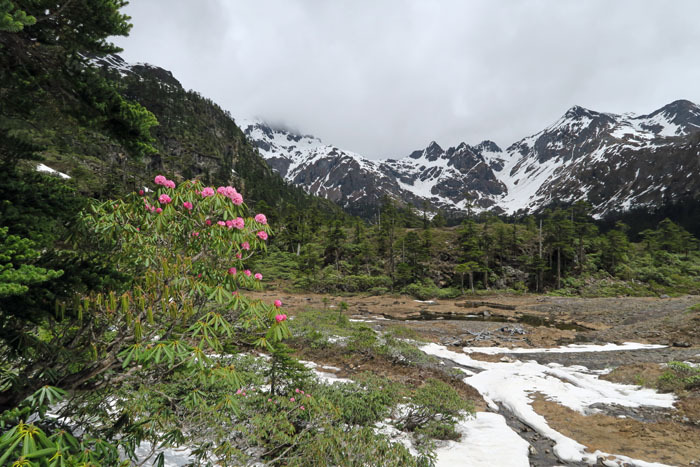 The first step was a stop over in the Tacheng National Reserve (Group #9) to prepare Amael Dupaix and Fu Rong 2017 internship at the wildlife management and ecosystem health lab of the YUFE. Prs Li Li, Zhang Hong, Patrick Giraudoux, Drs Emmanuel Garnier and Eve Afonso participated to this field session, with the help and support of Zhang Ying Chun, Ma Cong and Li Jun. Additional support was provided by Shi FangQing, from LiJiang, whose father and uncle lived in the areas where the catholic community having hosted Jean-André Soulié was settled. Disappointingly and by contrast with the heartly welcome of other people of Cizhong village, the priest in charge of the catholic community denied to meet us and to give any information about local archives, if any, and the past and present of his community. We have been however more lucky with landscape assessment and, unexpectedly, disclosing in our own group other sources of informations not analysed yet. Now, the plan is to explore the archives possibly deposited at the Missions étrangères de Paris in combination with the analysis of Shi FangQing’s father personal archives and geographical information systems that might be specifically designed on this purpose. the exact location of Tsekou (98.9°E, 28.0°N) could be found and confirmed from local testimonies (including the finding of a religious item kept in a farm) and former photography comparisons. 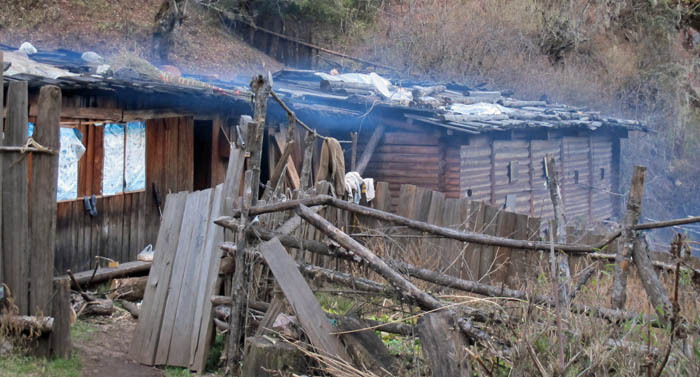 The church was built in 1867 on the site of a lamasery, and has been totally destroyed during the 1905 lama revolt. Jean-André Soulié lived there from 1894 to 1896, during which he provided the French Natural History Museum with Rhinopithecus bieti specimens among many others species. Thus, toponyms and field reports can be more precisely located from this key-place now precisely georeferenced. 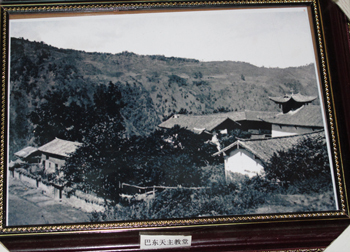 we tried to georeference some landscape photographs issued from the Xiao Weixi church collection, however unsuccessfully (e.g. a church and the landscape behind with a label wrongly attributed to Ba Dong village， 巴东村). We met again the priest of the Cizhong church. This time he kindly accepted to open the photography collection of the church, issued from the Missions étrangères de Paris. He also kindly took us along with him to Xiao JieYi （肖杰一）a retired churchman of more than 90 year old, speaking French and able to sing latin religious songs by heart. He has been the companion of the French priests who lived in Cizhong. Anecdotally, we discovered he knew father Georges André 1891-1965, originating from Champagney, Haute-Saône, who spent most of his life in the remote place of Bahang (1920-1952), nearby, and run the Cizhong community from 1937 to 1940 ! Virtually all photos found on the spot being issued from the Missions étrangères de Paris, it appeared clearly that the most comprehensive documentation will be found there including photographs and missionary reports. To assess the feasibility of a documentary on the Yunnan Snub-Nosed monkey. 42 faeces were collected and will be processed at the Chrono-environment department. 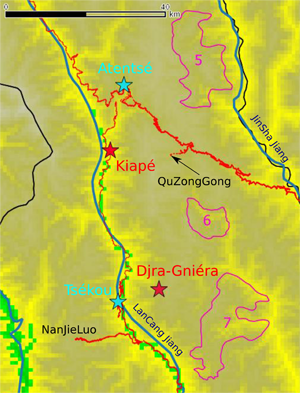 The geographical locations of Atentse (now DeQin and NOT Yunling as wrongly believed in the 2016 expedition, see above), Djra-Gniéra (now Jia Kong) and Kiapé (now Jia Bi) were confirmed based on interviews in villages and descriptions of the Rode’s catalog. Combined with locations obtained in previous expeditions, a comprehensive map locating (when available) the origin of every holotype, allotype and paratype of the Natural History Museum can be drawn and help further studies in paleogenetics. 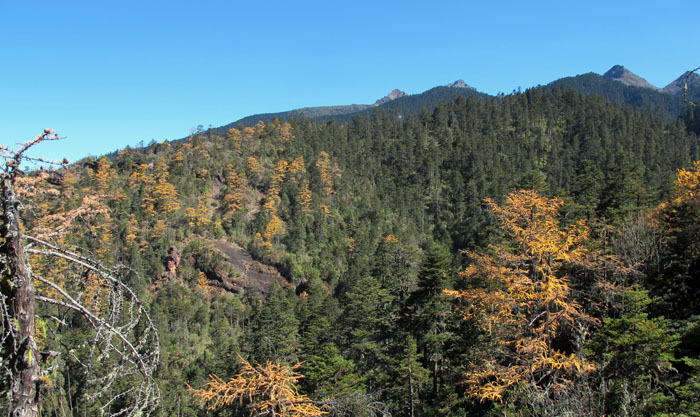 A number of local ecosystems were additionally visited such as the hardly accessible NanJieLuo （南姐洛）altitude forests and grasslands, at 4000 m above see level, between LanCang Jiang (澜沧江, upper Mekong) and Nu Jiang (怒江，upper Salween), and those around the QuZongGong (曲宗贡） field station at 3900 m of altitude, between monkey group 5 and 6 on the left side of the LanCang Jiang. Participants: Eve Afonso (CE), Cécile Callou (MNHN), Patrick Giraudoux (CE & LWMEH), Ma Cong (YUFE), Xia WanCai (Western China Normal University). 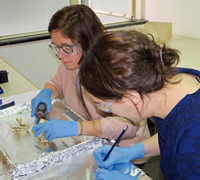 To assist Li WeiWei, director of the Kunming Zoological Museum, in sampling bones of Rhinopithecus bieti specimens prior to further analysis of ancient DNA. 6 specimens of Rhinopithecus bieti were carefully sampled for bone fragments. However essential for comparisons with other specimens already analysed, new regulations in China make export and analysis in France currently illegal for species CITES 1. 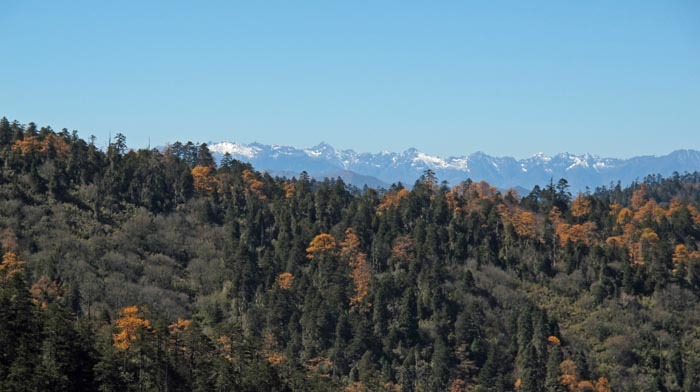 Special authorisations are currently applied to the Forest and Pasture office by the Kunming Zoological Museum in the framework of a collaboration with the French National Natural History Museum. Lao Yu was interviewed about the Tacheng populations of Rhinopithecus bieti. In short, it appears that the “fed” group was fixed at XiangGuQing in 2008, and the process took 7-8 months. Initially about 80 animals were attracted from the "wild group" by the food given, then 40 were flushed away in two times to make the density compatible with local natural resources. The “fed” group now reaches about 50-60 individuals. Those important information are critical to interpret the genetic structure and parasite circulation observed using faeces samples of “fed” and wild groups. Introduced by Prof. Li DaYong on arrival in Chengdu, we met Xia WanCai (PhD student) and Sun Ling (Bachelor student) in the field at the field station of CaoYuan Chuan （草原川）( 30 km north of ShuiJing (水晶), Pingwu (平武)), in the southern Min Shan (岷山) and visited the Xiao Gou (小沟) group of 22 fed Golden Monkeys (Rhinopithecus roxellana) recently fixed (1.5 years). Possibilities for comparing Tacheng and Xiao Gou ecology of fed groups were discussed. Zhang Y., Clauzel C, Li J, Xue YD, Zhang YG, Wu GS, Giraudoux P, Li L, Li DQ, 2018. Identifying refugia and corridors under climate change conditions for the Sichuan snub-nosed monkey (Rhinopithecus roxellana) in Hubei Province, China. Ecology and Evolution, epub ahead of print. Li WW, Clauzel C, Dai YC, Wu GS, Giraudoux P, Li L 2017 Improving landscape connectivity for the Yunnan snub-nosed monkey through cropland reforestation using graph theory. Journal for Nature Conservation, 38: 46-55. 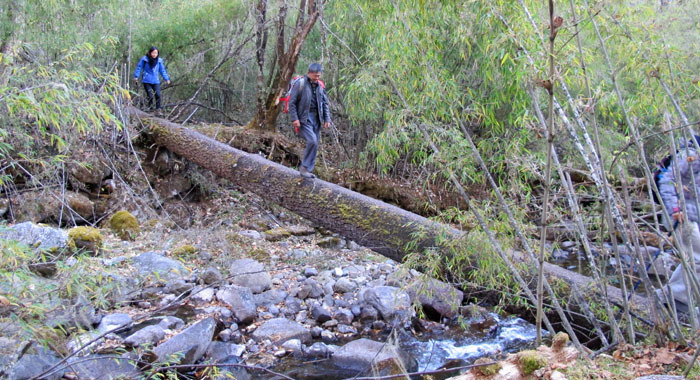 Clauzel C, Deng X, Wu G, Giraudoux P, Li L 2015 Assessing the impact of road developments on connectivity across multiple scales: application to Yunnan snub-nosed monkey conservation. Biological Conservation. 192: 207–217. Li L, Xue YD, Wu GS, Li DQ, Giraudoux P 2015. Potential habitat corridors and restoration areas for the black-and-white snub-nosed monkey Rhinopithecus bieti in Yunnan, China. Oryx 49: 719-726. Actually Jean-André Soulié’s first mission was in "Bathang" (Batang County), then at Cha-pa (102.22°E, 29.90°N). Then he was sent to Tse-kou where he arrived in 1894, December 8. 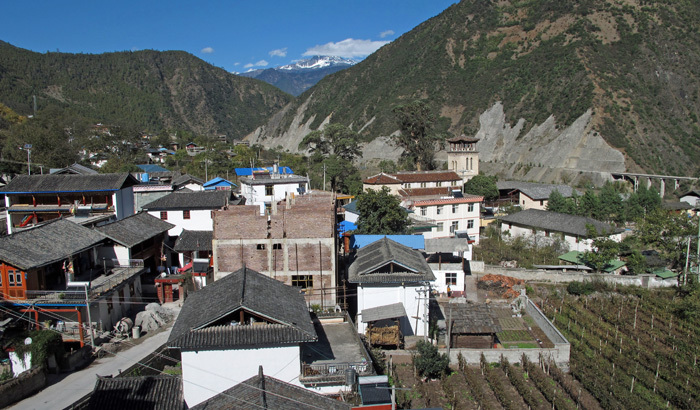 He left the place to "Yaregong" (YariGong Xiang, 99.364E, 29.434N), Garzê Tibetan Autonomous Prefecture, Sichuan, in 1896, July 20. During the 1905 tibetan revolt, he was arrested by lamas, tortured and shot, in the Ngarongchy valley, not far from Yaregong.